^ David Bruce Vitter (R). The Washington Post. 2004. ^ Louisiana - Election Results 2010 - New York Times. New York Times. November 2, 2010 [November 7, 2010]. 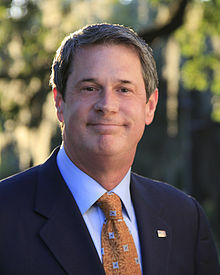 ^ David Vitter Announces Run for Governor. Roll Call. January 21, 2014 [January 21, 2014].